The Cybel SCIROCCO-1950 series is a line of broadband Thulium-doped fiber amplifiers (TDFA) covering the spectral window from 1880 to 2020 nm with high gain and low noise figure. 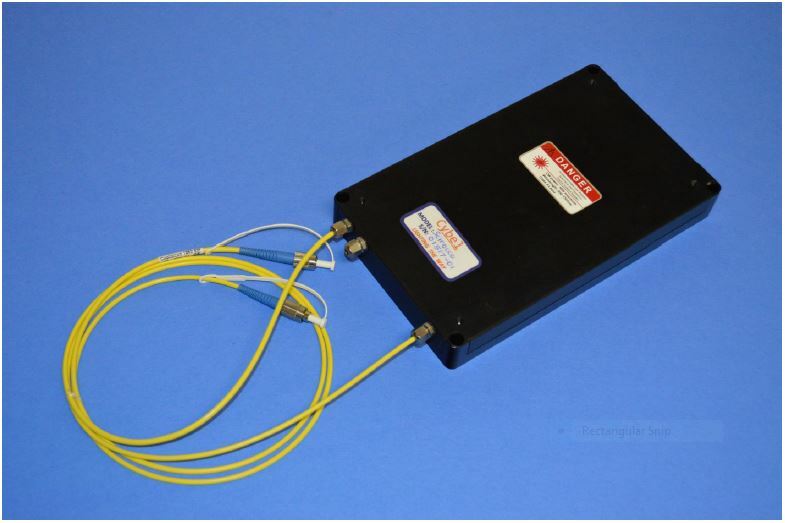 Up to 45 dB small signal gain and >30 dB saturated gain are available at 1950 nm with an NF of less than 5 dB. In saturation, this amplifier delivers output powers of +30 dBm (1 W), +33 dBm (2W), and +37 dBm (5W) over a 140 nm optical bandwidth with an in-band OSNR of greater than 50 dB. The SCIROCCO-1950 comes in a compact and efficient OEM module for both the standard single mode and PM versions. It is also available in a 19” benchtop unit. See product details or contact us for a quote.